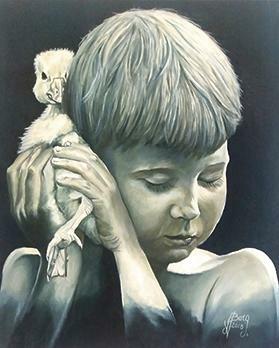 Artist John Vic Borg will present his new work at the Art Discussion Group’s 161st meeting, which will be held on tonight at 7.30pm at the Balzan parish centre. 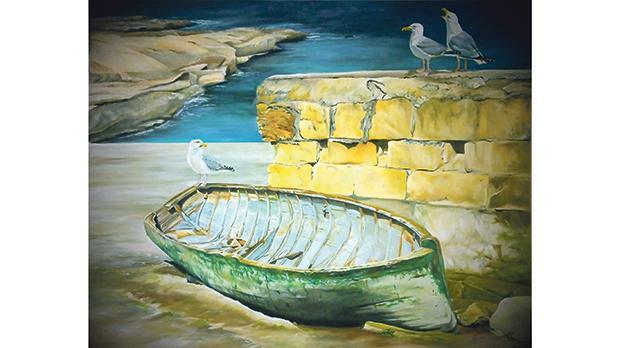 Borg lives in Mellieħa where he enjoys days in plein air in the countryside, painting a beautiful array of colour tonalities that the Maltese landscape offers. His name has become synonymous with a brand of an almost photographic realism bordering on the surreal. 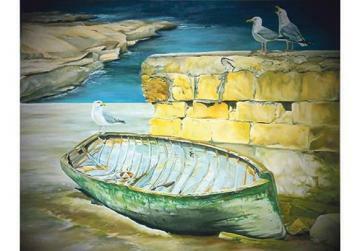 He launched his career in 2003 with a personal exhibition entitled Maltese Landscape in Adenau, Germany, organised with the support of the Mellieħa local council, and during the past 15 years he has has produced a large number of works. In his Step by Step collection he was obsessed by light falling on boulders, on rocks: a vibrant, blazing and at times blinding light, whereas in his Brush Strokes collection, he changed his palette, choosing warm colours and a challenging subject: the human form saturated in light. Most of his works depicted girls with their pets. In reality, they were portraits that seem to recall the British School of painting. During the meeting, Borg will deliver a PowerPoint presentation both of his new collection, Artistic Moods, which will be exhibited in May 2019 at the Razzett tal-Markiż, Mosta, as well as a retrospective look at some of his past work. This will be followed by a discussion and question-time. The event will be of interest to anyone with an inquisitive mind about art and technique. ADG members, friends and the public are invited to attend. The Art Discussion Group’s meeting with John Vic Borg will be held tonight at 7.30pm at the parish centre, 36, Idmejda Street, Balzan (next to the Good Shepherd church). For further information, visit www.adgmalta.webs.com.